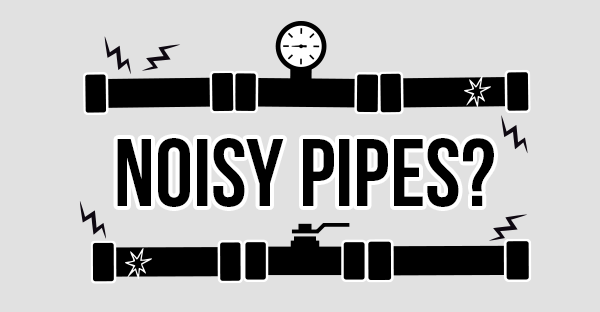 Noisy pipes can cause a lot of unwanted racket in the home. Clunks, bangs, thuds, humming, whistling or other random noises can be caused by numerous things. No need to worry though, we have compiled a list of what the problem might be and how it can be dealt with. Thud Sound when Turning off Faucets? If your pipes make a thud when you turn off, hot or cold water then you might have a water hammer problem. This is the most common pipe noise which can be caused by a pressure surge or wave caused when water is forced to stop or change direction suddenly. Most new homes have devices called water hammer arresters which are air filled chambers that allow the wave of pressure to dissipate. If you have a older home or if you are hearing a thud then try these steps. Find the lowest faucet in your home, this is often a outdoor garden hose faucet. Open the hose faucet and open a few indoor faucets for 5 minutes to drain out all of the left over water. Close the faucets again and turn back on the water to your home. When you turn the faucets back on there might be some water sputtering due to air in the lines. When you shut the water off the thud should be gone. If your toilet is loud after you flush then one possible cause could be a faulty ballcock. This device controls the fill process. It might need to be cleaned or it might worn out. Depending on how new it is, you might be able to repair it or replace it with a better one. One other thing you should check is the water pressure. Make sure the PSI isn’t to high. 50 PSI is the recommended pressure for the household. To do this attach a water pressure gauge (if you don’t have one you can purchase one here or at your local hardware store) onto an outside hose or indoor faucet if you don’t have one. Make sure no water is running anywhere else and slowly open the water supply that the gauge is attached to until it is fully open. Read the pressure once the needle stops moving. If the reading is below 50 psi or if it is above 75 psi your pressure reducing valve may be faulty or you may not have one installed in your water line. Check the reading again and if it is still too high or too low then give us a call so we can inspect or install the reducing valve. If you have rattling or banging pipes then the source might be coming from loose anchoring points. When water travels at fast speeds in your pipes it can loosen these points over time. The anchors might just need to be tightened or replaced if their old. Avoid galvanized anchors on copper piping though! Small movements can cause a lot of racket when metal bangs against metal. You can also add cushioning with insulation foam to prevent noise. 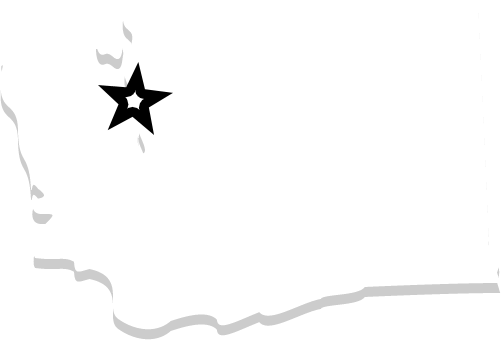 If you would like more information on how to quite pipes check out this video or give us a call at 206-789-4944 if you have any questions.